Our standard, megapixel lenses stand up to the vibrations common in industrial environments. Their solid design and sturdy construction ensure years of reliable service. 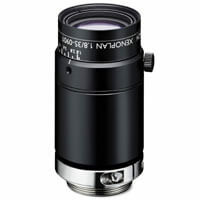 These are lenses designed for applications where lenses are exposed to high vibration or high-G shocks or when lenses are inaccessible and simply must not fail, ruggedized lenses may be desirable. is reassembled, tested, and shipped with a certificate of compliance if requested.